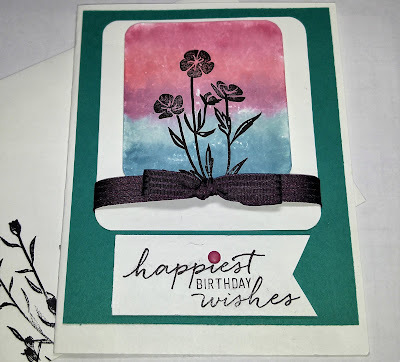 Art Gallery Cards: More Cardmaking Fun From the Gallery! 4th of July, Faux Watercolor and Simple Elegance!! More Cardmaking Fun From the Gallery! 4th of July, Faux Watercolor and Simple Elegance!! I wanted to share a few more of this week's cards with you! The first card was inspired by a card I saw on Pinterest from suzystamps.com I couldn't resist it--even though I must confess to having a backlog of 4th of July cards from previous years! I simply love simple elegance and as soon as I saw this DSP and the stamps from Floral Phrases, I couldn't wait to create! The rose stamp and the thinlits are next. Navy Blue is the new Black!!! 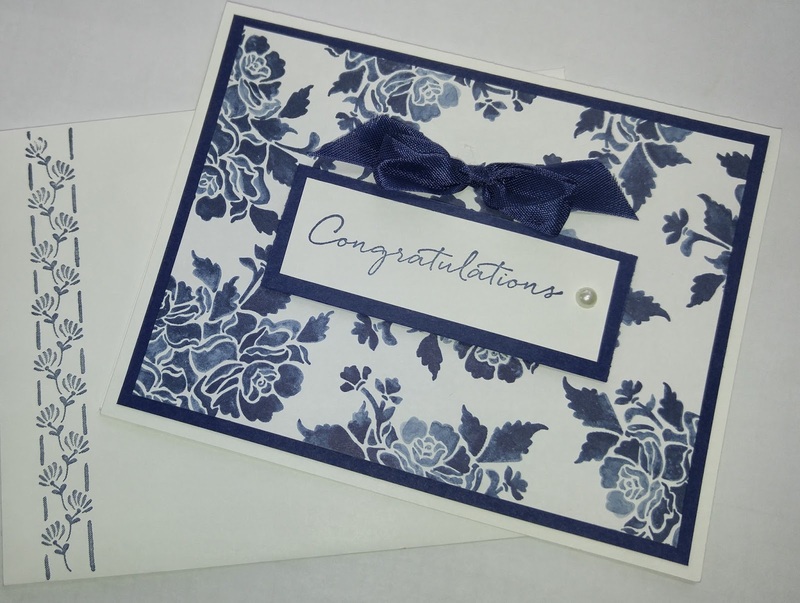 Have a happy stampin' week! !